We offer Master Printing services to artists for a flat rate of $200 per day. Please inquire at PrintCraft207@gmail.com for details and availability. 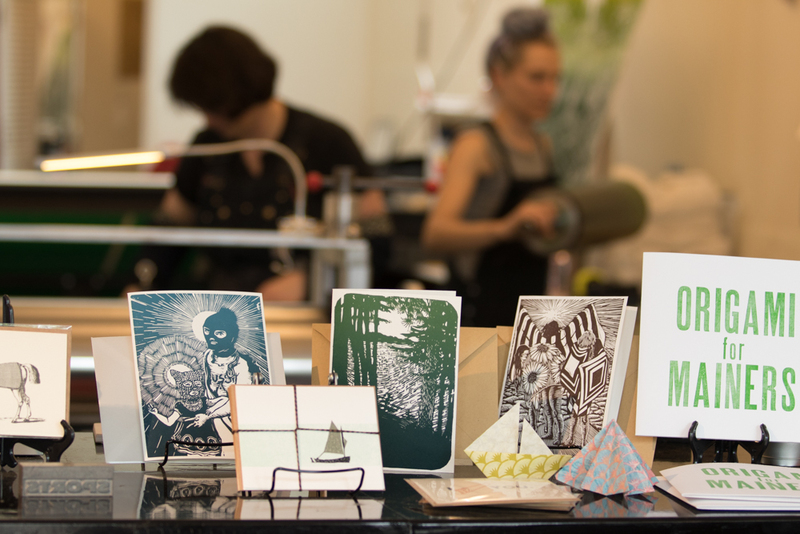 PrintCraft is both a working studio space for artists Lisa Pixley and Martha Kearsley as well as an affordable art destination. You’re invited to peruse the current work for sale in their historical West End location and also catch a glimpse of their formidable printing press collection in action. Lisa and Martha are producing their own work for sale, printing and binding custom work for clients, and dreaming of what will come next. And you may see handmade books, fine art prints, and other tactile delights produced by local and national artists, too. At PrintCraft you’ll find amazing affordable art at all price points. Collecting limited edition prints and one of a kind letterpress creations is possible here.